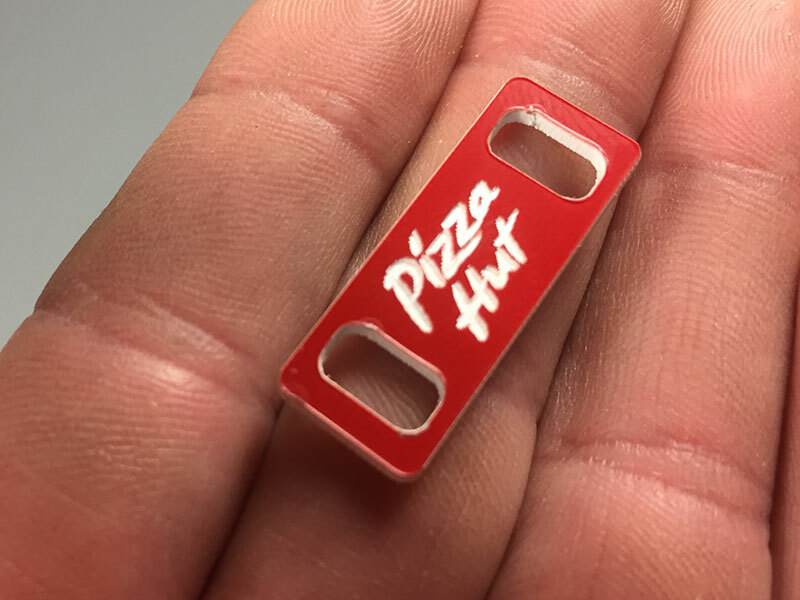 Pizza Hut Lace Locks - Pure Black, Inc. 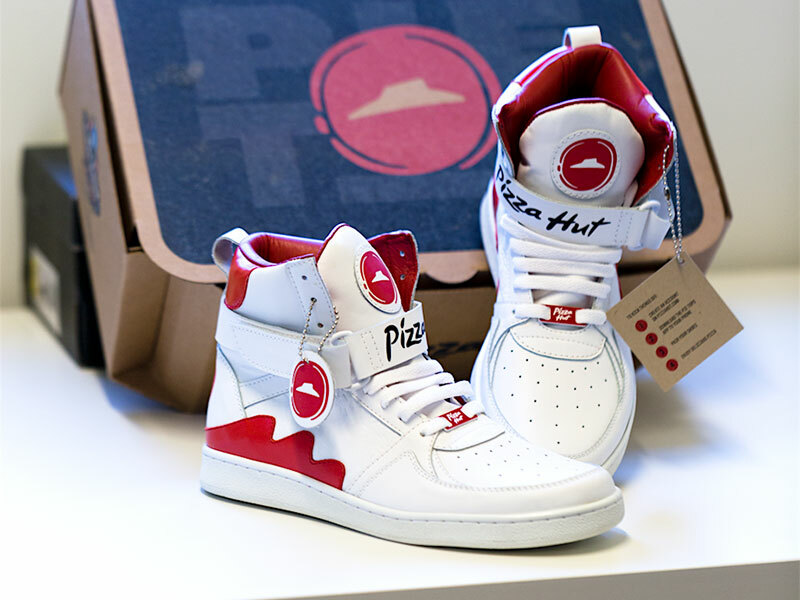 Some lace locks for the Pizza Hut ‘Pie Tops’. Laser cut on 1/16″ modified acrylic. Sure, just a tiny part of a bigger thing, but fun to be involved with another amazing shoe concept by the incomparable Shoe Surgeon.